Integrate with Web of Science, Google Scholar, and PubMed. It activates on other academic platforms, publisher sites, institutional repositories and preprint sites like arXiv. 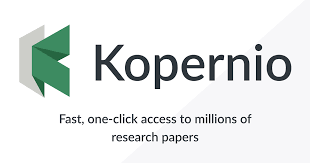 It only activates on sites that are on Kopernio's list of >20k whitelisted websites. Finds the best PDF available by searching library entitlements, open access, preprints. Provide a link to an illegal copy of a PDF. Kopernio only searches whitelisted sites.